Why focus on the physiology of human aging rather than on the diseases of old age? Until recently, pathologic processes in old age were studied extensively with the intent of combating diseases specific to this high-risk group; the physiology of aging was not of primary interest. Understandably, it is difficult to isolate "normal function" (the domain of physiology) from "abnormal function" (the domain of pathology); aging, while resulting from a "normal" process, nevertheless leaves us increasingly vulnerable to degenerative diseases. 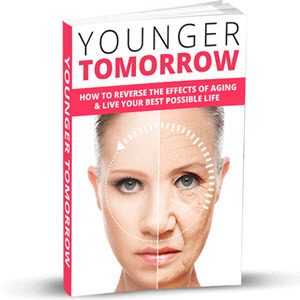 In these early years of the twenty-first century, however, aging is being regarded anew as a positive and potentially rewarding process, free of the stigma it has had in the past of inevitable decline in health and productivity. With the introduction of the concepts of "successful" or "healthy" aging, many researchers are shifting attention from a primary focus on the diseases of old age to the possibility of strengthening normal functional competence at the molecular, cellular, and organ systems levels over the life span (8-10). During the life span, according to Hayflick, "the level of physiologic capacity reached at the age of reproductive success in living things is taken as the determinant of their potential longevity"
Myths and stereotypes about old age pervade our culture. Not only do they obscure the facts about the later years, they undermine the potential most of us have today for a vigorous and healthy senescence. According to the writer and painter, Henry Millera, "At eighty I believe I am a far more cheerful person than I was at twenty or thirty. I most definitely would not want to be a teenager again. Youth may be glorious, but it is also painful to endure. Moreover, what is called youth is not youth; it is rather something like premature old age". ■ Old age always brings mental impairment. ■ The elderly are a homogeneous group in terms of their physiologic decline over time. ■ Old people are usually poor. ■ Old people are powerless. ■ Nothing can be done to modify aging; the elderly of the future will have the same problems they have today. ■ The United States has been and will always be a youth-focused culture. ■ Good health during early ages is important as a forerunner of good health in old age. ■ Considerable advances have been made in prolonging life expectancy and in preventing and treating many diseases, and similar advances may be expected in the future. ■ The quality-of-life in old age depends on biomedical as well as socioeconomic and cultural factors. ■ Prevailing attitudes about aging and negative images of the elderly can be turned around through education. At all ages, a sense of well-being or "wellness"—the overworked but useful term coined in the 1970s—depends on good mental and physical health and a favorable environment. Although elderly persons afflicted by declining function and increasing pathology are more vulnerable to the everyday stresses of life, maintaining and even restoring wellness are possible at all ages. A state of wellness, especially in later years of life, can be secured through a judicious combination of interventions: biomedical and bioengineering along with social and economic (Chapters 22-25). a Sampson A, Sampson S, eds. : The Oxford Book of Ages. Oxford University Press, New York, 1985.
establish objective landmarks, as menarche, does at puberty. Old age in humans is conventionally accepted as the stage in the life cycle that begins at around 65 years of age and terminates with death. However, given the considerable heterogeneity of the elderly population and the complexity of physiological processes, it is difficult to circumscribe the physiologic boundaries of aging in temporal terms. Rather, the onset of aging occurs at some indeterminate point in the mature individual and its progression follows timetables that differ with each person and vary depending on genetic and environmental factors. Indeed, "physiologic heterogeneity" is one of the consistent characteristics of the elderly population (Chapter 3).